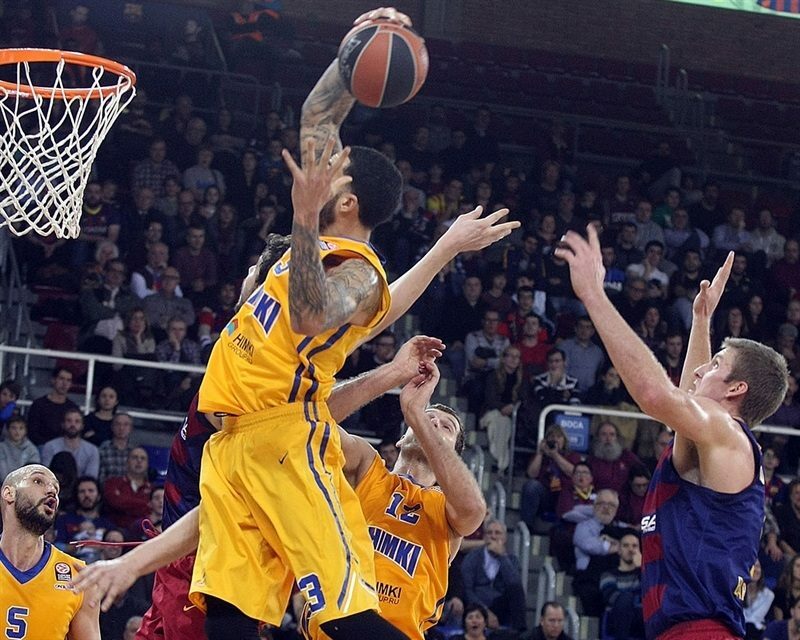 FC Barcelona Lassa followed its leader and protected its home court Thursday with a commanding 87-70 victory over Khimki Moscow Region to join the win column in Top 16 Group F. Both teams are 1-1 among a four-way tie behind undefeated leader Olympiacos Piraeus. Barcelona staked its first double-digit lead early in the second quarter and liked the feeling enough to double it, 49-29, as Tomas Satoransky beat the halftime buzzer with a jumper. Khimki rallied with a 2-11 run to within 76-64 late in the fourth quarter, but Satoransky reappeared with a triple to end the threat. 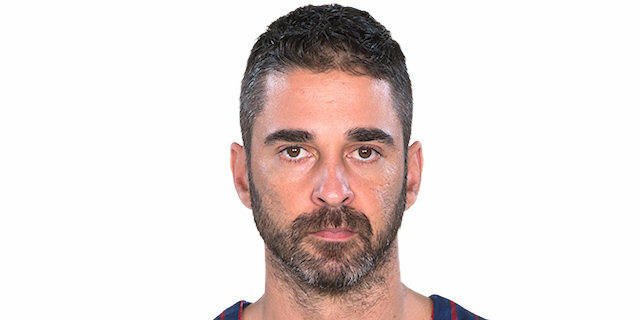 Navarro and Pau Ribas led the winners with 14 points each, while Satoransky added 13, Ante Tomic 12, Shane Lawal and Justin Doellman 10 apiece. 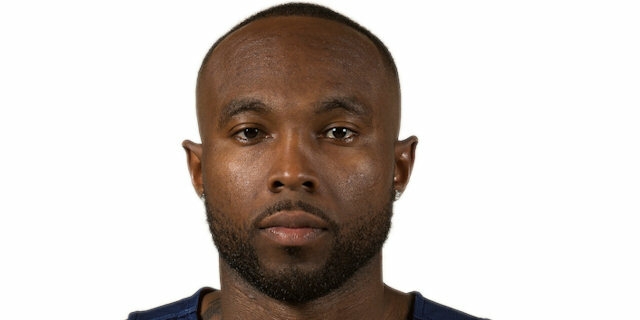 Tyrese Rice had 14 points, Alexey Shved 13 and James Augustine 11 for Khimki, which suffered from 3-for-23, or 13%, three-point shooting. 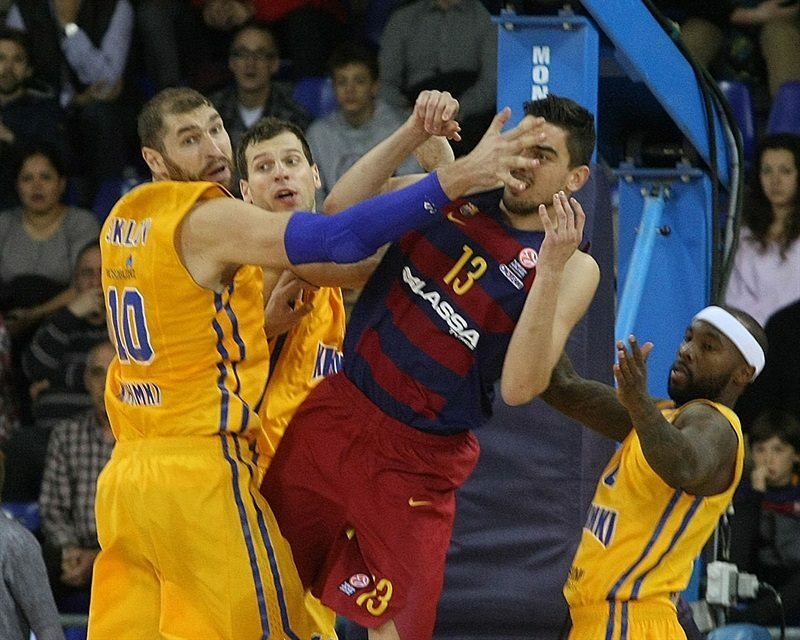 Dimitry Sokolov got Khimki going with a layup and a huge block on Tomic but a three-pointer by Stratos Perperoglou gave Barcelona its first lead, 3-2. Sokolov kept pacing Khimki with a dunk but Navarro did better with a catch-and-shoot triple. Rice hit a one-handed jumper off the dribble but Barcelona kept running its offense through Navarro, who nailed a six-meter jumper for an 8-6 score. Tomic dropped his trademark jump hook, as Khimki struggled to find open shots now. Shved tried to change things with a close basket which Satoransky matched with a wild reverse layup. Sergey Monya scored in transition and Rice scored in penetration but a three-pointer by Ribas kept Barcelona ahead, 15-12. Justin Doellman hit a mid-range jumper, Rice shined with another floater and a layup by Shane Lawal boosted the hosts' lead to 19-14. 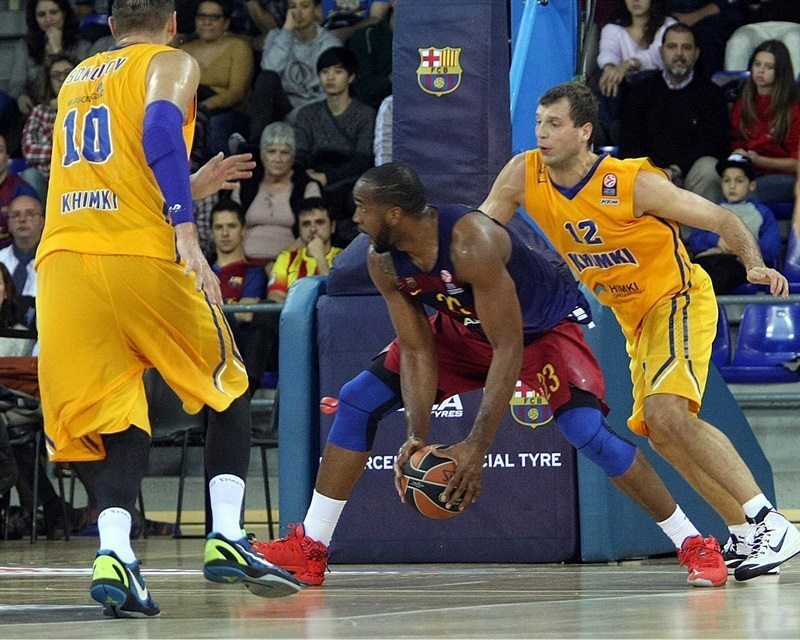 Rice and Doellman traded free throws and a layup by Lawal gave Barcelona a 23-16 edge after 10 minutes. James Augustine scored in close early in the second quarter but Lawal quickly answered with a two-handed slam for a 25-18 score. Tyler Honeycutt and Samardo Samuels split free throws and another three-pointer by Ribas made it a double-digit game, 29-19, forcing Khimki to call timeout. Sokolov split free throw, Samuels hit both attempts and Ribas buried another one from beyond the arc to break the game open at 34-20. Shved answered from downtown and free throws by Petteri Koponen kept Khimki within 34-25. Samuels scored down low, Zoran Dragic answered with a driving layup and free throws by Navarro restored a 38-27 edge. Samuels and Tomic took over with consecutive dunks and a three-point play by Navarro made it a 17-point game, 45-28. Tomic found space for an uncontested layup, Augustine split free throws and a buzzer-beating jumper by Satoransky fixed the halftime score at 49-29. Tomic took over with an alley-oop layup immediately after the break but Shved did better with a bomb from downtown for a 51-32 score. Tomic kept going with a big basket in the low post but so did Shved with a driving layup. 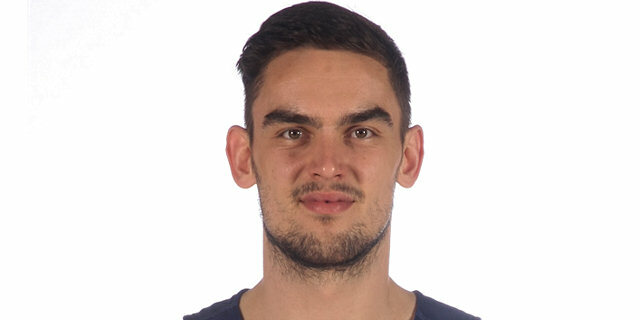 Tomic found Satoransky for a three-pointer, but Honeycutt shocked the crowd with a big dunk and a six-meter jumper by Augustine brought Khimki a bit closer, 56-38. Rice shined with a coast-to-coast basket and Honeycutt hit a circus shot, but an outstanding Navarro kept Barcelona way ahead, 60-42. 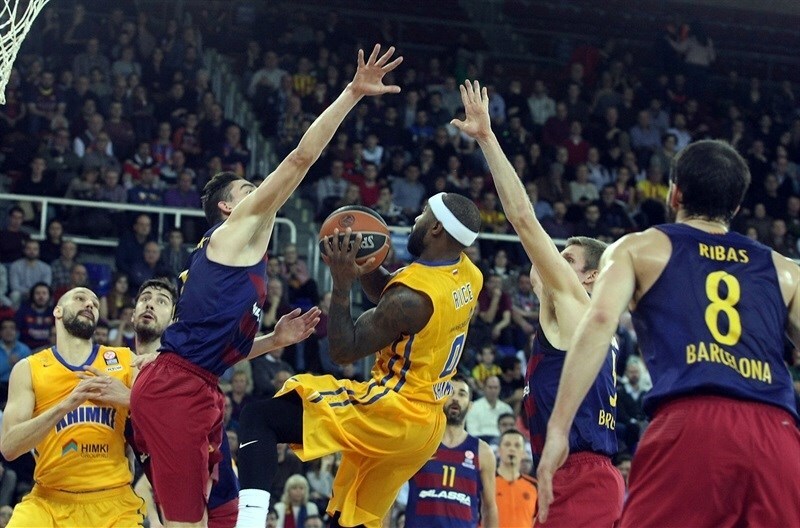 Rice scored in penetration and a three-pointer by Satoransky restored a 63-44 Barcelona lead. Augustine tried to change things with a layup that Perperoglou matched with a six-meter jumper. Monya answered with a driving layup and Honeycutt dunked off a steal to get Khimki within 65-50. Honeycutt split free throws before a put-back layup by Ribas fixed the score at 67-51 after 30 minutes. Koponen buried a step-back jumper early in the fourth quarter but Lawal matched it with a power layup for a 69-53 Barcelona lead. 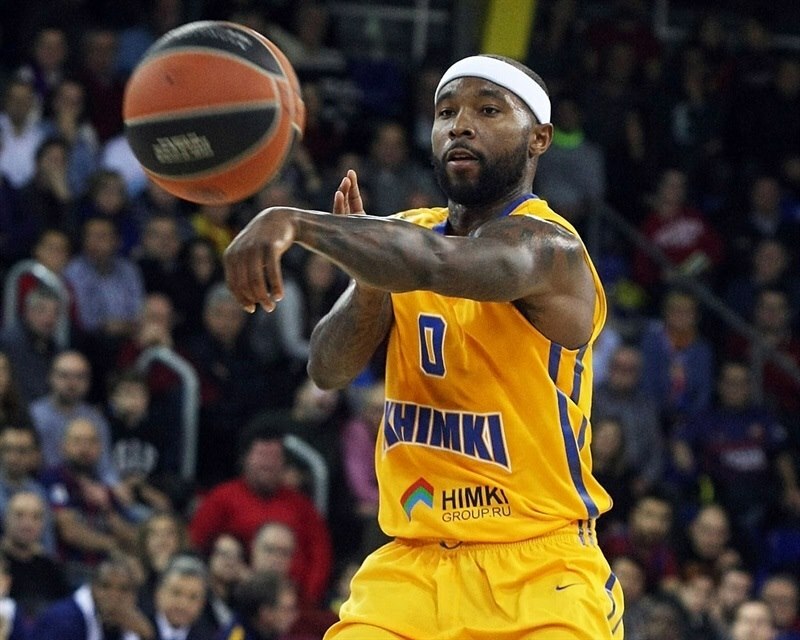 Ribas buried a three-pointer to force Khimki to call timeout at 72-53 with more than 7 minutes left. Khimki kept struggling to score and a dunk by Lawal seemed to seal the outcome at 74-53 after a 7-0 run. Both teams kept fighting for points differential in what promises to be a very balanced Group F. Augustine scored down low, Samuels dunked again and a three-pointer by Shved kept Khimki within 76-58. 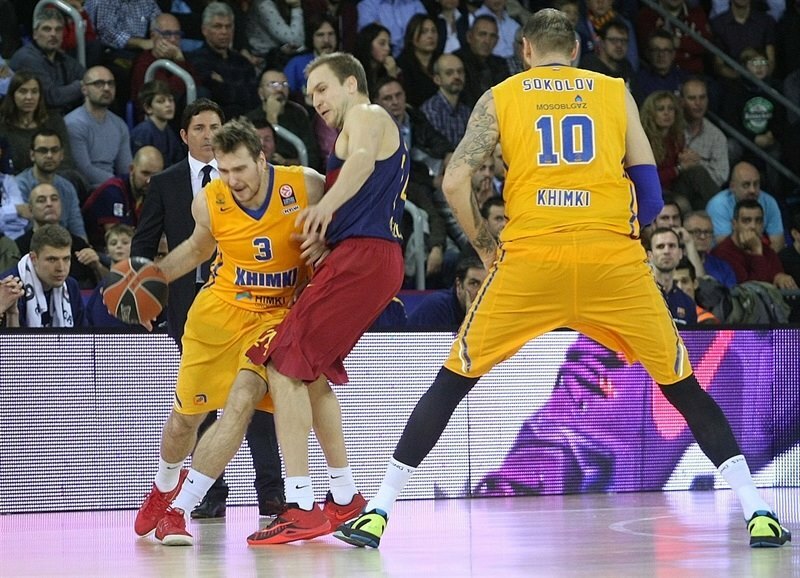 Dragic finished a great Khimki play with a layup and Rice scored around the basket to keep the guests within 76-62. Sokolov scored around the basket but Doellman beat the shot clock with a turnaround jumper. 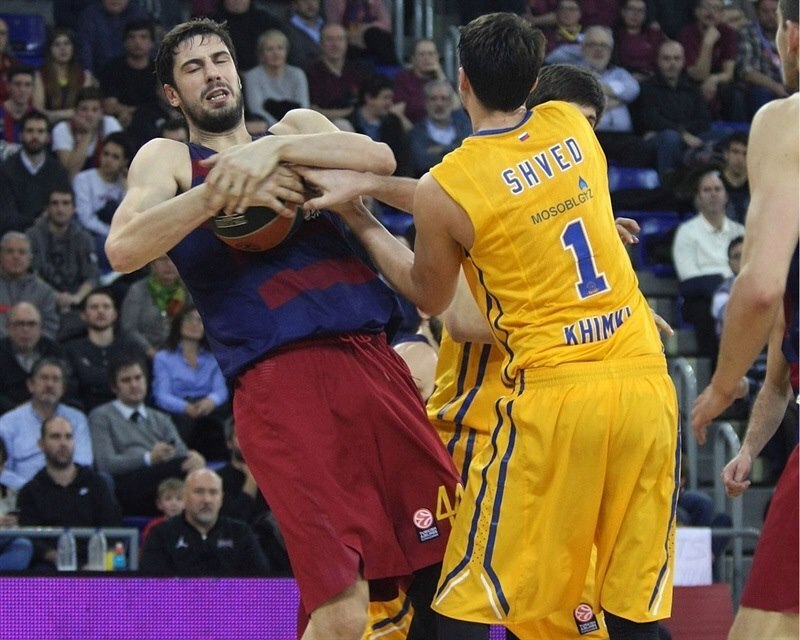 Dragic scored again and a three-pointer by Satoransky made it 81-66 and allowed all Barcelona fans to celebrate the win. Both teams kept trying but the hosts had cruised to a very important, well-deserved win. "Congratulations to our fans, all of them, for the great help they gave us tonight. I am sure they enjoyed the play we played. We had a very all-around game, one of the best this season, against a very good opponent and did well on offense and defense. We played fast, dynamic basketball, without stopping. There are always things to improve, but I am happy for the way we played today. We had time to prepare the game well and had a balanced game from the physical and tactical standpoint, and that was shown on the court. We are now facing four games on the road - I doubt any team will travel as much as we do: Tenerife, Moscow, Gran Canaria, Madrid. We have to be able to win on the road, play with balance, arrive to each game well, physically speaking, and compete. The team is ready to win in any court. We have to have a good game plan, follow it and have a good game. We have to stay focused and think of the next game. Every game is different, a lot of things happen: tough opponents, problems, bad shooting nights. Every game is different and we must be prepared for anything. 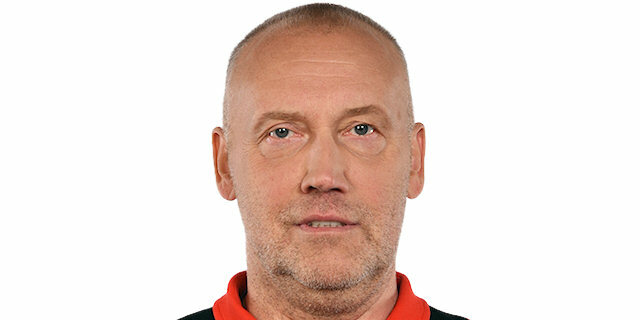 I am satisfied with today's win, the same way I wasn't happy after losing in Greece. We will now face CSKA, a top-level team. The fact that they beat Madrid by almost 20 points late in the game says enough about its potential." 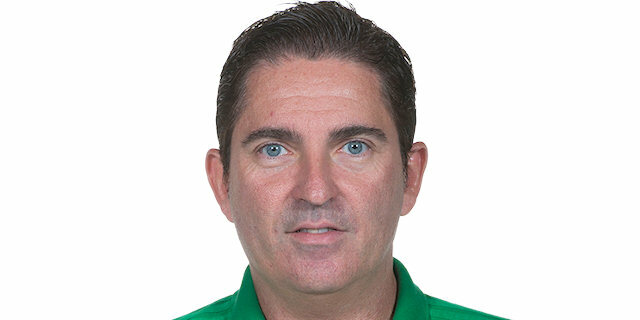 "First of all, I want to congratulate Barcelona and Xavi Pascual for a perfect game. For sure, we didn't show the kind of effort and energy we need to beat Barcelona in Barcelona. We had some problems; Navarro is a perfect player and had a special preparation to stop him, but he played really well from the beginning and we were down by 20 at halftime. It is difficult to get back from 20 points against such an experienced team. We could have played a little bit better because I think that every point will be important in our group, by how much you win and lose. Losing by 17 is a little bit too much. We talked before the game about how difficult it is to play here. We said that every point and every second in each game was important, all 40 minutes. If we lose, we had to lose by as little as we could. This is not a good result for us. We are a good three-point shooting team, but only hit 13% of them tonight." "The first half was the key. We played very good defense. It is true that that they missed some shots, but from the very beginning of the game, we knew how to play defense against them. We knew they have a lot of talent, but our defense made them miss some shots and that helped us build a lead in the first half. This was a very important game, we had to win it no matter what. I hope it gives us a little bit of confidence because we play back-to-back road games in both the Euroleague and the Spanish League. We are in a good form and must win on the road, especially in the Euroleague." "After losing in Piraeus the way we did, as Olympiacos took us out of the game with great physicality, we wanted to make the most out of our home-court advantage and control the game rhythm. I think we managed to do it. Other than some minutes in the third and fourth quarters, I think we played a very good game. We have two road games coming up and if we had lost tonight, a 0-4 start could be a possibility. It looks like it will be a very balanced group, so you have to win by as many points as possible and lose by as little as possible. Three-point shots are not falling for me lately, but I am very happy for the way I am playing. I feel quick on the court and played 30 minutes today for the first time in - well, a lot of time! I felt really good and have to keep working hard to stay like this." "In the second quarter we just gave up a lot of easy layups and dunks and a couple bad fouls. And they just blew the game open. We weren’t really able to play the type of game we normally play. We can’t really look at as if we’re so terrible. I think we was prepared, but we didn’t come out here ready to play. We just have to take it as a loss, they protected their home court, and be ready for next week. "